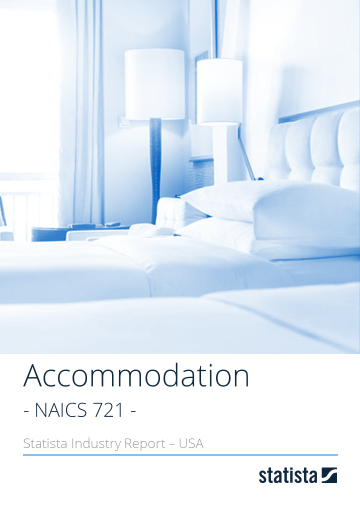 The "Accommodation" industry report from Statista consolidates the most important industry information while highlighting essential and valuable data regarding the status quo and trajectory of the industry with forecasts through the year 2022. A management summary, key facts & figures, SWOT analysis and chief executive quotes on the latest industry developments provide a substantial introduction. The report additionally provides quantitative information regarding industry financial numbers, selected key players and company details, as well as employee and salary data. An overview on digital opportunities including revenue estimates and forecasts for the industry are provided in the financial numbers section. There are 43 Statista industry reports covering industries as diverse as "Utilities", "Amusement, Gambling & Leisure", and "Banking & Finance". An overview of all available Industry Reports can be found here.